India Releases & Waivers. Ready for immediate use. 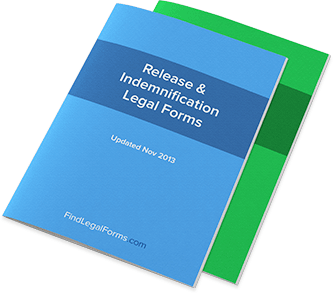 Release & Indemnity forms which cover a variety of situations. These forms include standard indemnifications and releases for accidents, security interest and product liability. Contractor's Release and Waiver of Liens (India) Release and Waiver of Liens form for India. Full and Final Release (India) This Full and Final Release is designed for use in India. This legal form is available for immediate download. Mutual Release (India) This Mutual Release is designed for use in India. This legal form is available for immediate download. Release of Accident Claims (India) This Release of Accident Claims is designed for use in India. This form is available for immediate download. Settlement and Release - Litigation Ongoing (India) This Settlement and Release Agreement (Litigation Ongoing) is designed for use in India and is ready for immediate download. Moon Bounce - Inflatable Release (India) This Jumper/Bouncer Release of Liability and Assumption of Risk is designed for use in India. This form is available for immediate download. Swimming Pool Release (India) This Swimming Pool Release of Liability and Assumption of Risk is designed for use in India. This form is available for immediate download. Trampoline Release (India) This Trampoline Release of Liability and Assumption fo Risk is designed for use in India. This form is available for immediate download. Conditional Waiver & Release upon Final Payment (India) This Conditional Waiver and Release Upon Final Payment is designed for use in India. This form is available for immediate download. Conditional Waiver & Release upon Progress Payment (India) This Conditional Waiver and Release Upon Progress Payment is designed for use in India. This form is available for immediate download. Unconditional Waiver & Release upon Final Payment (India) This Unconditional Waiver and Release Upon Final Payment is designed for use in India. This form is available for immediate download. Unconditional Waiver & Release upon Progress Payment (India) This Unconditional Waiver and Release Upon Progress Payment is designed for use in India. This form is available for immediate download. Indemnity Agreement (India) Indemnity Agreement for use in all states and territories in India. Employee Authorisation to Release Information (India) This Authorisation to Release Information is designed for use in India. This form is available for immediate download. Talent & Model Release (India) This Talent / Model Release is designed for use in India. This form is available for immediate download. Talent & Model Release for Minors (India) This Talent / Model Release for Minors is designed for use in India. This form is available for immediate download.